Today, in honor of Independence Day weekend, we will do something slightly different with Origins Sunday. For one thing we are temporarily converting it into Origins Saturday so it can coincide with Independence Day. As a critical thinker it is important not to be rigid in your thinking, but to remain flexible so as to adjust to ever changing conditions – but that’s a topic for another time. In this episode of Origins, we also diverge from the usual topic of life’s origins, and instead will show the origins of the North American continent, and the place we now call The United States of America. Today is the 239th birthday of the USA (happy birthday America), but the land mass that we live on is much older than that, and has been apart of other supercontinents in the distant past. Below, you can see the distribution of the present day continents placed over the supercontinent Pangea. Pangea was a fully formed supercontinent about 299 million years ago, and began to break apart due to continental drift, around 200 million years ago. That was during the Permian Period when the dry land was ruled by primitive reptiles and the mammal-like reptiles (of which, included our ancestors at that time). 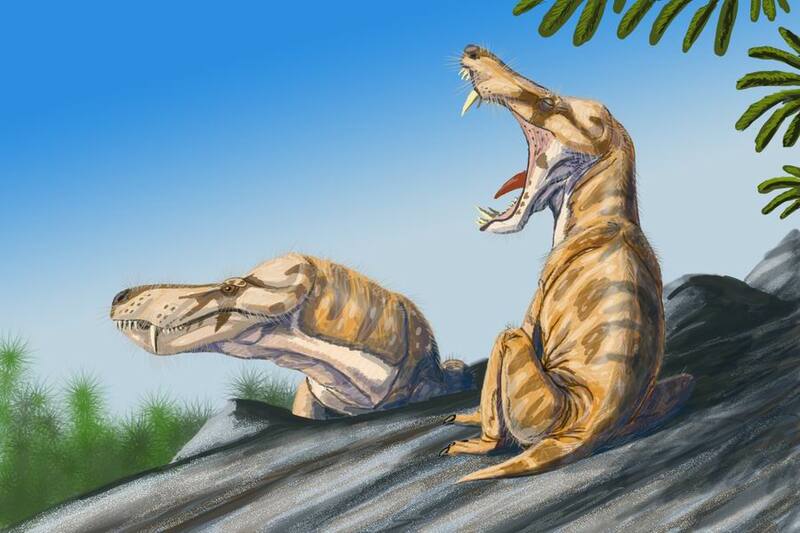 The mammal-like reptiles could be considered as Proto-mammals, with features of both reptiles and mammals. Check out below: aren’t they cute, but be careful they bite! 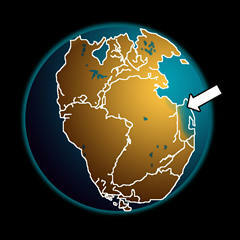 On Pangea, the inhabitants of the time could move across the continent, at least in principle. The interior may have been very dry and inhospitable to many forms of terrestrial life at the time. 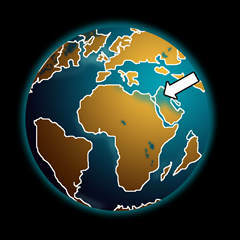 One line of evidence for the formation and breakup of the supercontinent is the distribution of fossils found in various locations. Their pattern shows that before the breakup there were the same creatures living on both sides of fault lines, in a non-random distribution. Before America came to its present location it drifted across the globe and had been in physical contact with what would become Africa, Europe, and South America. Due to plate tectonics it is continuing to drift today, and in another 200 million years the map of the world will look vastly different from the one we are used to seeing. This should remind us that we are all truly global creatures. 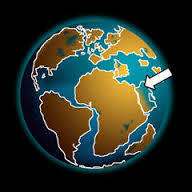 Our ancestors have lived all over this planet, from the ancient seas, to many of places among the land masses. 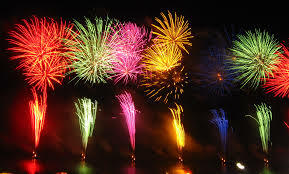 Have a fun and safe July 4th weekend!! 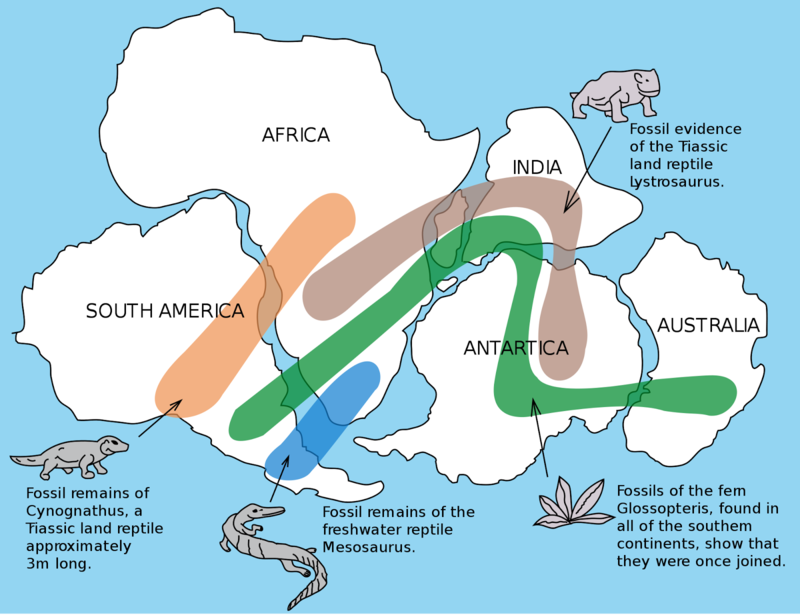 Previous article	← Fossil Friday: Oldest fossils on earth!